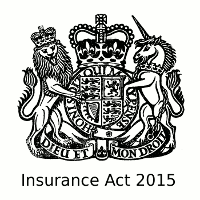 Sweeping changes to UK commercial insurance law described as the “biggest overhaul since the introduction of the 1906 Marine Insurance Act” came into force on 12 August. The 2015 Insurance Act will apply to contracts of insurance and reinsurance entered into or varied after 12 August 2016. The new law was finalised in February 2015, giving insurers, brokers and insured parties over a year to prepare for the changes, said insurance law expert Colin Read of Pinsent Masons, the law firm behind Out-Law.com. These include a newly-formulated duty of fair presentation; the introduction of proportionate remedies in certain cases of non-disclosure and misrepresentation; and wholesale changes to the law on insurance warranties, he said. “The UK insurance market remains a significant player in the global insurance and reinsurance industry: these long-planned changes seek to strike a better balance between insureds and insurers and ensure that UK insurance law is fit for purpose in the 21st century,” he said. Based on recommendations for reform by the Law Commissions of England and Wales and of Scotland, the new law aims to align business insurance rules more closely with those that govern consumer insurance contracts. It introduces substantial changes to the laws governing disclosure in non-consumer insurance contracts; warranties and other contractual terms; and insurers’ remedies for fraudulent claims. Although many of the changes are designed to be ‘insured-friendly’, insured businesses will also come under a new ‘duty of fair presentation’ which will replace the previous duty ‘utmost good faith’ disclosure duty. This will require businesses to disclose, before entering into an insurance contract, either every matter which they know, or ought to know, would influence the judgement of an insurer in deciding whether to insure the risk and on what terms; or sufficient information to put an insurer on notice that it needs to make further enquiries about potentially material circumstances. Insured businesses will be deemed to have the knowledge of anyone who is a part of the organisation’s senior management or who is responsible for their insurance for the purposes of this new disclosure duty. However, brokers will no longer be subject to disclosure duties once the new law is in force. The new law abolishes ‘basis of the contract’ clauses, which effectively convert every statement made by a policyholder before the contract is signed into a warranty, as well as introducing new rules on warranties more generally. Insurers will no longer be able to refuse claims on the basis of a policyholder’s breach of warranty or other condition in the contract, provided that the insured can show that the breach could not have increased the risk of the loss that actually occurred in the circumstances in which it occurred. Similarly, breaches of warranty will no longer discharge an insurer from liability from the time of the breach. Instead, they will result in insurance cover being suspended for the duration of the breach, and re-instated once the breach has been fixed. These changes will not apply in respect of terms that define the risk as a whole; for example, terms restricting cover to non-commercial use. Parties to insurance contracts will not be permitted to contract out of the prohibition on ‘basis of the contract’ clauses set out in the new law. However, parties to non-consumer insurance contracts will be able to agree to less favourable terms than those set out in the Insurance Act, provided that the alternative provisions are clear and unambiguous and sufficient steps are taken to draw them to the attention of the insured party or its agent before the contract is concluded.